The drug-resistance and relapse of diffuse large B-cell lymphoma (DLBCL), which are related to mesenchymal stem cells (MSCs), have become increasingly common. However, the underlying mechanisms remain elusive. To investigate the lung cancer-promoting mechanism of mesenchymal stem cell-secreted extracellular vesicles (MSC-EV). 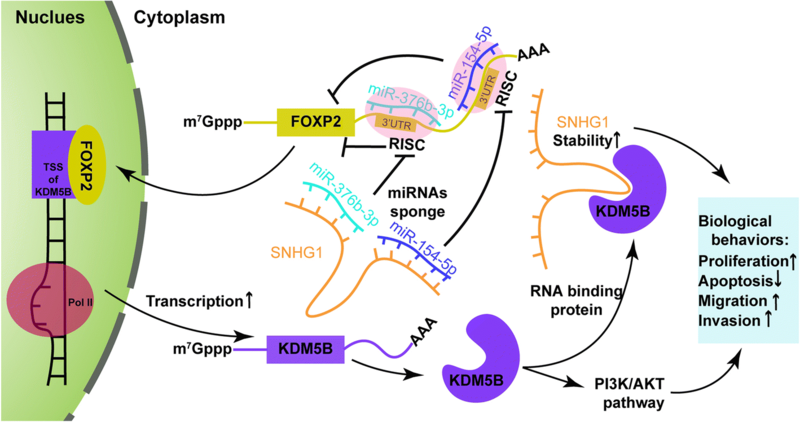 Long non-coding RNAs has been reported in tumorigenesis and play important roles in regulating malignant behavior of cancers, including glioma. The pro-oncogenic anterior gradient 2 (AGR2) is involved in tumor growth and drug resistance of breast cancer. Mechanisms that regulate expression of AGR2 still need to be elucidated.